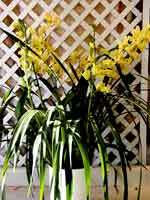 Cymbidiums want warm temperatures with sun during the day and cool temperatures at night. That means the best place for growing cymbidiums is outdoors. The good news is Cymbidiums growing in hydroponics thrive outdoors! It's those remarkable LECA pebbles. 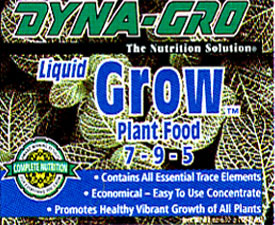 With a couple of simple adjustments our hydroponic system becomes an outdoor growing machine! To remedy this, simply replace the outer pot with a shallow saucer. Then, when it rains, excess water overflows the saucer and drains away, keeping the plant from drowning. 1. Cut a plastic saucer that fits the bottom of the culture pot to about 1/2" deep. This is what it looks like inside outer pot. Finished plant. I added rocks on top. 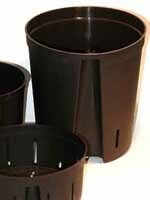 Outside, I prefer clay pots because their weight keeps plants from blowing over in the wind.